Facebook automatically offers a translation of “Salida” to the word “Exit”. Mark Zuckerberg obviously does not know about the small mountain town in Chaffee County, Colorado! This past weekend in beautiful Salida, CO, runners were treated to summer-like temperatures at what has traditionally been known a “winter marathon”, which made for a hot day at the ATRA-race-member Run Through Time Marathon, Harder Half Marathon, 2 Mile Fun Run and Free Kids Run. 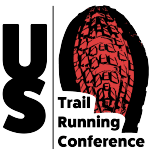 This early season trail race, in its 12th edition, attracts those who want to test out their winter training, welcome the Spring weather and ring in the mountain running season and festivities in this fun, little mountain town. A multiple time participant, Steve Bremner, called the race an “early season wake up call.” Because what lunatic runs a trail marathon that early in the year!? The way you know it’s going to be a good race weekend is when packet pickup is at a brewery. In this case, the new brewery in the Arkansas River Valley, Hubbub Brewing. And let me tell you, there were a lot of people picking up their packets, maybe even more people than were running the race the next day! Even thought the race is relatively small (450 max for the marathon) all ability levels got to rub elbows with some of the best in the mountain business, such as Salomon’s Anna Frost and Dakota Jones, Sage Running Coach Sandi Nypaver, Gnar Runner Nick Clark and even local Salida 18-year-old, Taylor Stack–winning the half marathon outright–and others just hanging out and enjoying the Arkansas River life. The Marathon course consisted of 4,750 feet of elevation change, starting at 7,000 feet at the base of S Mountain and reaching elevations of 9,000 feet over the 26.2 miles. The overall female winner was Shannon Daileader of Salida, CO (4:11:49) with Rebecca Hodgetts crossing the finish line shortly after in 4:14:01 and Amanda Cunningham claiming the last podium spot in 4:30:57. On the men’s side, Frank Pipp of Longmont, CO took the title in 3:16:13 with Arthur Whitehead (Golden, CO) and and past winner, Ryan Burch (Loveland, CO), taking the 2nd and 3rd spots in 3:24:54 and 3:30:41, respectively. The Harder Half Marathon covered some of the classic Salida trails with a dramatic finish down the switchbacks on the face of S Mountain, over the rail road tracks, over the Arkansas River bridge, under the bridge, along the Arkansas River and finishing in front of the Salida Steam Plant. Sandi Nypaver claimed the women’s half marathon title in 1:51:33, with Anissa Schymik (Lone Tree, CO) close on her heels in 1:51:57. Jamie Falcon (Breckenridge, CO) came in 3rd, 1:55:37. 18-year-old Salida phenom, Taylor Stack, dominated the men’s Harder Half Marathon, winning by almost 6 minutes in 1:29:41 over 2nd place Matthew Kempton (Golden, CO), 1:35:27 and Kenny Wilcox of Salida, CO (1:38:28), who is coach of the Salida High School Cross Country programs and former coach to Stack. 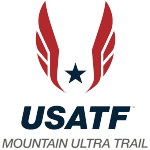 Stack also won the 2015 and 2016 editions of this race as a 16- and 17-year-old and is currently a freshman at Western State College in Gunnison, CO.
To add to the burgeoning trail running scene, Salida will be getting it’s own running specialty store this coming May with the addition of 7000 Feet Running Company. 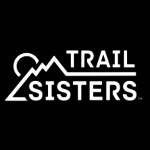 Andrew and Emily Walker are excited to further add to this already great trail running community by offering trail-specific shoes, clothing, knowledge and events. So, if you are ready for an “Exit” from the city to the mountains, just visit Salida and see what all the Hubbub is all about when you are at 7000 Feet high. You may just want to Run Through Time!